Want to quickly see how the open-source software 4images works? 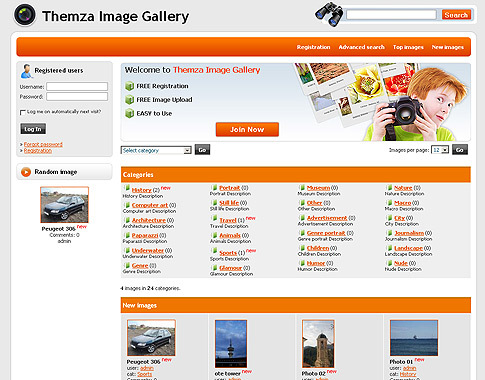 You'll find a free and updated demo installation of 4images here. 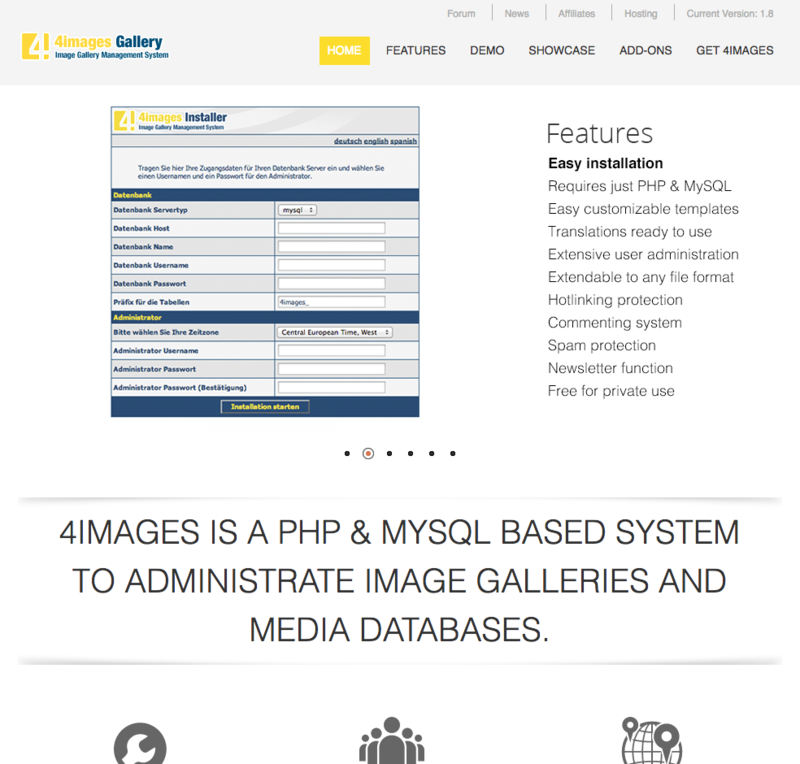 4images is a free open source web based system for administering image galleries and media databases built using PHP as a programming language and a MySQL database to store information. It is supported by a strong community of developers and other volunteers who are constantly working on improving the product and expanding its features. 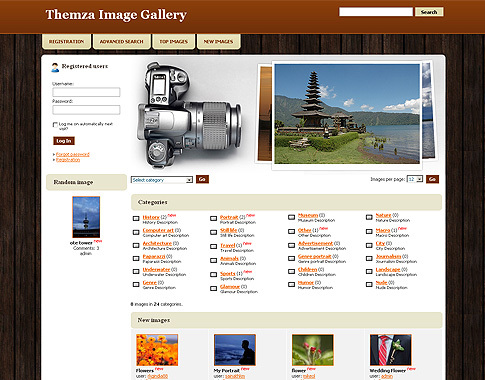 4images uses a templating system that allows you to customize themes and change the layout of the demo site. If you want to get a complete review of 4images you can click on the link above to login to our 4images demo. The admin demo will walk you through the 4images features and how you can customize your online demo using the templating system. 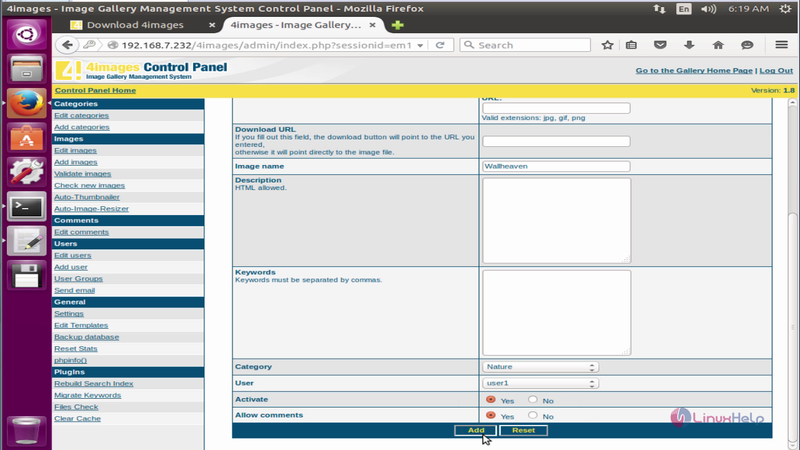 The screenshots below will give you a preview of themes examples and show you how the admin demo looks like. 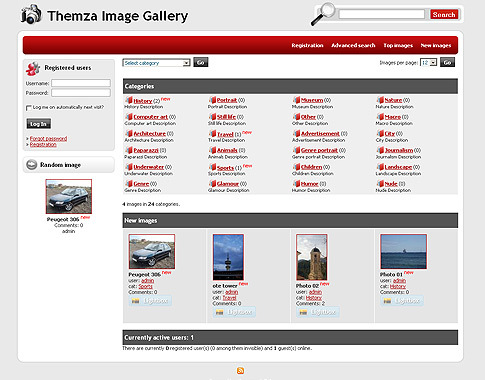 You can also set up your own 4images demo using the link below to download the archive. Before going through the installation process you should that you 4images works with PHP from 4.0.5 upwards and MySQL newer than 3.23. 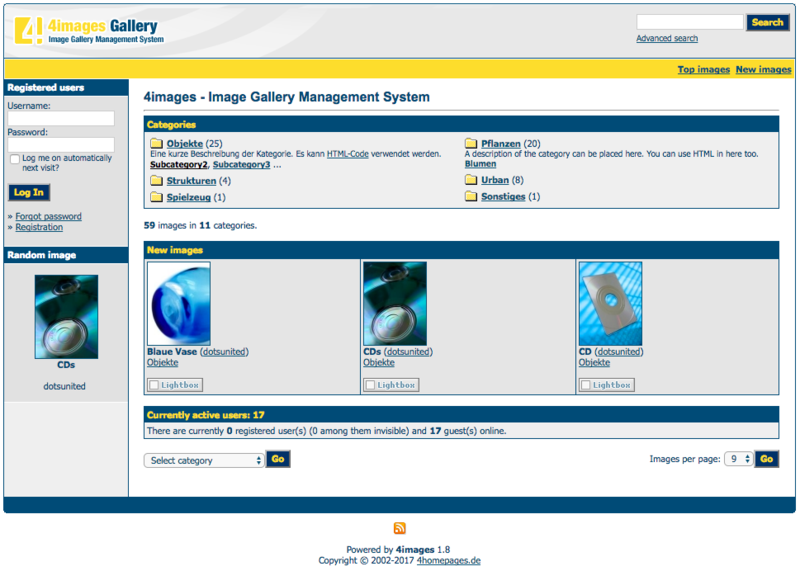 Some examples of 4images features are automatic thumbnail generation, RSS feed, user management, multi language support, encrypted storage protection and security updates. Although it comes pre configured for some file formats, you can extend it to work with every file format you want. The latest version available for download is 1.8 and was released on November 16, 2016.